Luoyang Dahua through independent research and development and absorption of domestic and foreign advanced technologies has manufactured hydraulic cone crusher, JC series jaw crusher, PLS vertical impact crusher, and other mining machinery crushing equipment. The company adopts green production technology process, which promotes the rapid development of China's green environmental protection economy. With the gradually development of Chinese mining machinery industry under the halo of scientific and technological advancement, the crusher industry also achieved a good development. The rise of market scale and increasingly competitive situation create the breakthrough opportunity for mining industry, meantime it also promotes the hydraulic cone crusher to be the outstanding production in green environment protection and energy saving field. As one of the significant device, the crusher has been developed rapidly in recent years. 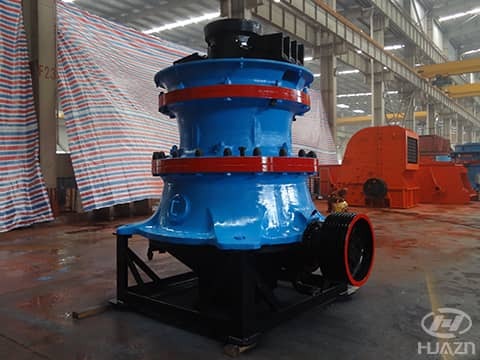 Luoyang Dahua, the main enterprise in environment protection industry, manufactured a new kind of modern and high efficiency cone crusher combined with large vibration frequency, optimized cavity and reasonable stroke by continuously researching, innovating and technical reforming. Our enterprise, as one number of China crusher industry enterprises achieves the aim of energy saving and emission reduction, promotes the great-leap-forward development of balancing environment protection in other industries. Previous Article：How to Operate the Jaw Crusher?